No fewer than 50 agric-based entrepreneurs including investors, will on Thursday, arrive Benin for a 3-day agriculture/investment workshop. This announcement is contained in a statement by Mr. John Mayaki, Chief Press Secretary to Edo state governor, Godwin Obaseki, on Wednesday in Benin. The statement said Governor Obaseki, made the disclosure when he received in audience, the management of Bronze FM led by Mrs. Abimbola Oyetunde, in Government House in Benin City on Tuesday. 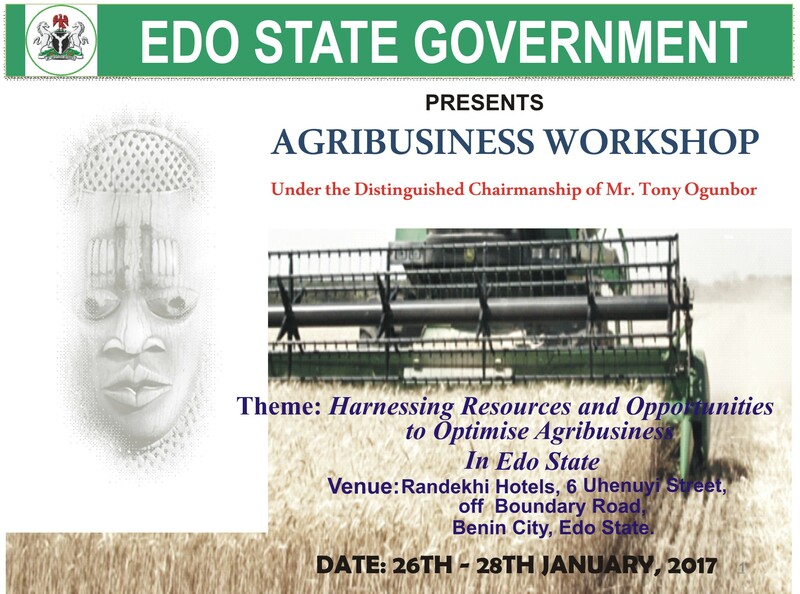 Governor Obaseki said the purpose of the workshop was to examine specific opportunities that exist in agriculture and how Edo people could key into it and stimulate the state’s economic revolution. He noted that ahead of the section, the state government had gone round the state to put together a land bank of more than 250,000 hectares.